So you might be aware that Christmas is just around the corner. We have had the usual seasonal flurry or Corporate Christmas cards and gifts being designed in the studio. However, the one project that really stood out from the rest was the branded Christmas tree that we recently designed and made for the Corbridge Garden Room, to display in St Andrew's Church in Corbridge. For the past 2 years, for one week only, St Andrews has welcomed local businesses and charities into the church, to decorate a Christmas tree themed to their shop or business. All proceeds raised this year went to the Charlotte Streaker charity. In many ways this is the perfect PR event for all involved - it really embodies what the Christmas should be all about, was fun and imaginative, and it helped boost the profile of charities, businesses and the Corbridge church too. Not only did the event bring together local businesses to help raise money for a very worthy cause, but it also attracted over 800 visitors on the Corbridge late night shopping evening too. We thought it was such a wonderful idea that we just had to post it on our blog. So with a tonne of ideas, hand cut decorations and lots of glitter, we set to creating Pat's vision of the Corbridge Garden Room Christmas tree. In the end we created a number of bespoke Gardening related decorations taken from the Corbridge Garden Room logo. We coupled these with gift tags that held garden related quotes and poems. Each decoration and tag was hand cut and glitterfied (yes, we know that's not a real word but it works here) for the occasion. Hat's off to Corbridge Garden Room for taking this opportunity so soon after their opening and well done to all of the other businesses and charities involved. It really was a fantastic sight to behold! The tree was subtle, elegant and thoughtful, a style that is totally inline with the Corbridge Garden Room brand. 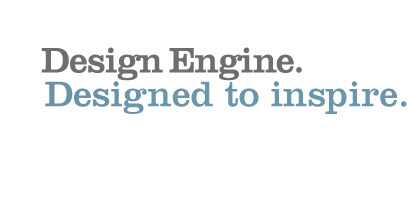 At Design Engine, we know that finding the perfect name can be a real challenge. So we decided that as part of our 'branding focus' we would dedicate some time to 'top tips for naming your business'. We've been helping people come up with unique business or product names for long enough to know that 'once you have a good'n, it can help everything else just slot into place'. We've split this blog into a couple of parts, so stay tuned for the next installment. Ok so this might sound a little topsy turvy, but we always try to encourage clients to think of the outcome first when choosing a name. How do you want the end user to react when they see / read your new name? What do you want that name to evoke? Think about what you want your name to stand for? We always start a project by brainstorming ideas, associated words and images. This often helps get ideas out and down on paper, and this act quite often generates even more ideas! This can work particularly well in a group (but also good on your tod too). To start a 'brainstorming', simply ask questions. Generally, the more questions you ask about your business the more likely you will find a true gem of a name. Why do they need your product of service? Does the name need to convey a strong message about the product or service? Whilst we are in full support of really unusual names, sometimes, there is absolutely nothing wrong with being obvious. In fact, having an obvious element in your name will often help not hinder, especially when you are a new business. For example, when we first came up with Design Engine as a business name we felt that adding 'design' into the mix just helped distinguish us as design specialists (aswell as helping with SEO). Engine was the more quirky element. But, this then allowed us to build a solid brand around the ethos that we wanted to help our clients 'get to where they want to be'. We hope you have enjoyed our first few 'top tips' and would welcome any comments below. Our next blog is about the common pitfalls when naming your business and how to avoid them, so do stay tuned. Here at Design Engine, we've really noticed a massive amount of support for Movember this year throughout Hexham, Newcastle and in fact, the whole North East! Clients, colleagues and even my own hubbie have been supporting the cause with a parade of fantastic moustaches at every turn! 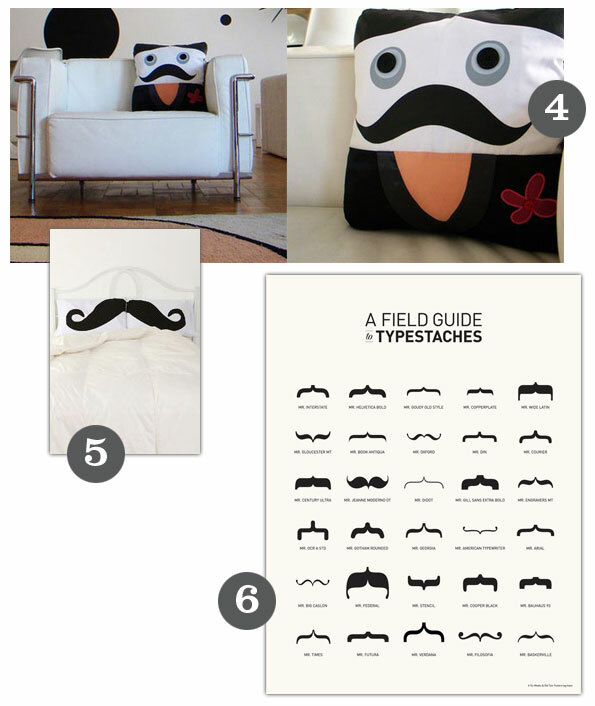 But it doesn't stop there, in the studio we've noticed some real Movember inspired design gems floating around too. So as a tip of the hat to this fantastic cause, 'us lot' at Design Engine have put together some of our favourite Movember graphics, inspired by this great month. 2. 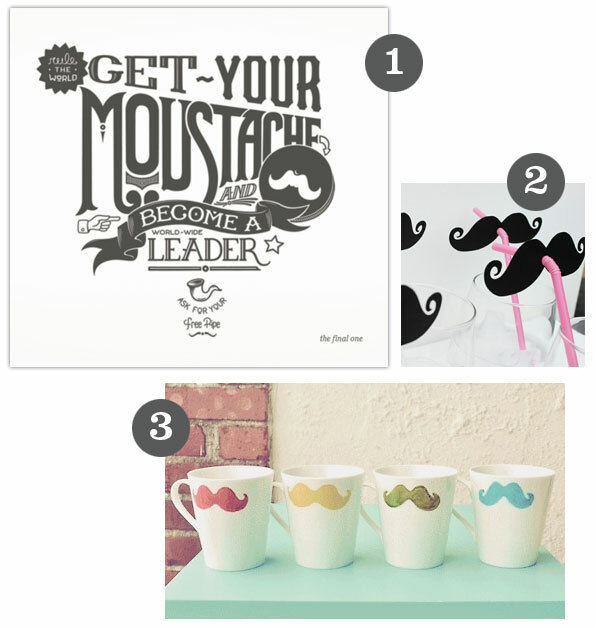 How to make moustache drink toppers on etsy - love it! P.S. We'd love to here about your favourites too? What's the difference between a logo, an identity and a brand? In response to lots of fabulous online feedback, over the next few months we will be running a series of blogs to help with all things to do with 'branding'. From name generation to logo design, from knowing your target market to the 'mystery of pantone swatches', we will be looking at logo design and brand development from all angles. It's simply to help you start to build an effective, solid identity for your business. So, to kick off our focus on branding we are beginning by looking at one question that we get asked a great deal, here at Design Engine.... 'What's the difference between a logo, an identity and a brand?'. 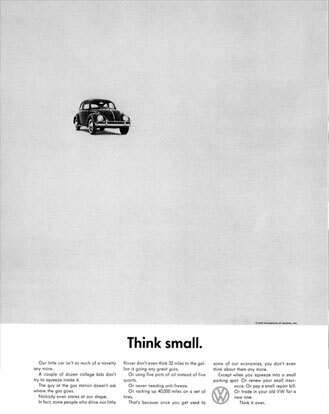 To help illustrate these points we've used a firm favourite of mine, the good old VW Beetle. 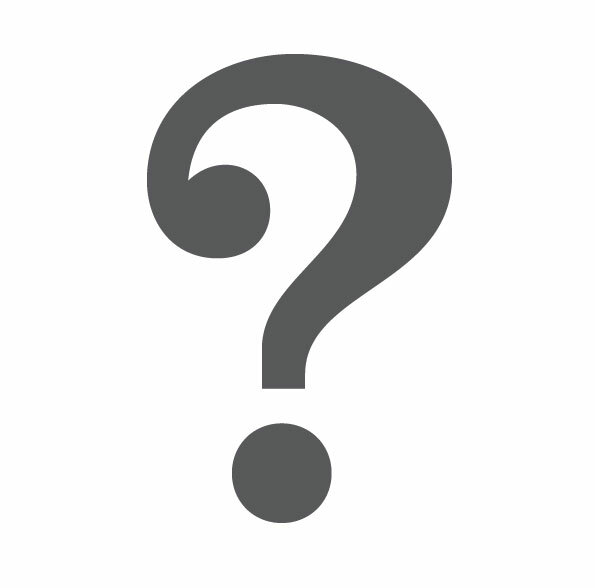 The best way that I can describe a logo would be 'a symbol, an icon or a font based design that represents a business'. Think of it as the face of your company, much like your friends Facebook avatar, it's often how people recognise your company from the outset. A well designed logo should be easy to recognise firstly, but it should also evoke a positive feeling, reaction or memory associated with your business, product or service. VW are known worldwide for their strikingly simple and slightly retro logo. A business identity is all about how a business looks overall. Basically the identity is anything visual that represents a business and includes: the logo, the product, the website, stationery, colour styles, the font palette, photography style, staff uniforms, signage and advertising. At Design Engine, we work with a lot of businesses to develop Business Identity Guidelines that help to keep all visual aspects of the business consistent. Now this one is slightly trickier to explain as a brand is much less tangible. But the simplest way that I can explain it is to say that your brand is 'the experience that people have when they come into contact with you or your business'. Quite often a brand is not something that can be designed. A brand is often created by the client with every interaction with a business, service or product. Obviously, a good logo, a professional looking identity and strong brand message can help, but ultimately, its down to how your clients 'feel' about the business, service or product in question. 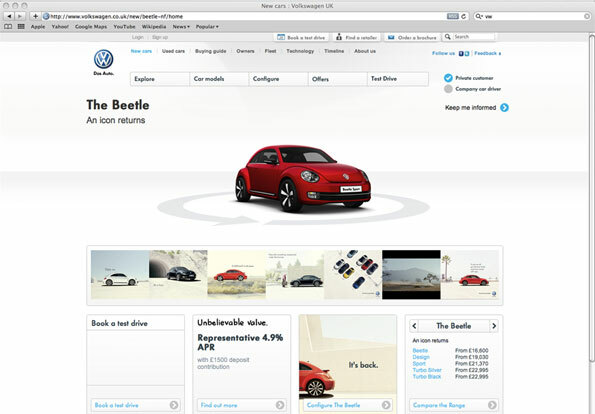 The VW beetle started as an affordable mass produced car but it has grown into a modern style icon associated with fun, style and unique design. 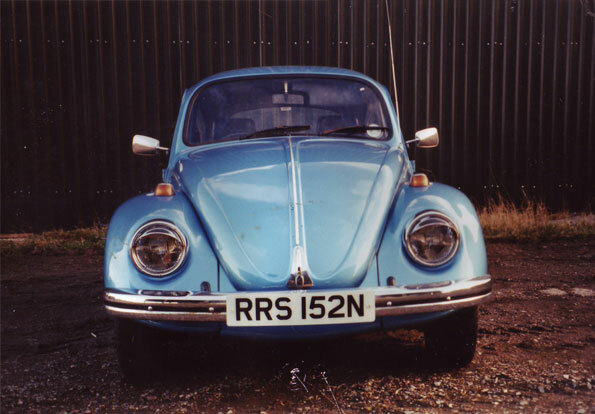 For me, whenever I see a VW Beetle, I think back to being 18 and driving my first car, summer time, university days, friends and fun. I liked how my Beetle made me feel when I drove it. I loved the fact it looked a little eccentric. It didn't really matter that the engine was in the boot and that it didn't go much over 60mph without something falling off. 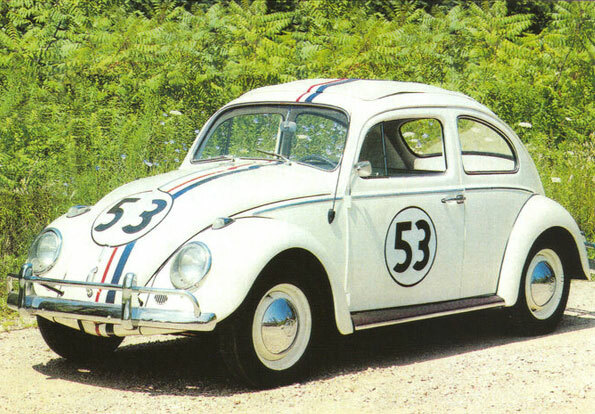 My experience of the VW Beetle brand was all positive and happy. And if the truth be known even now I still get a happy glow (and a faint smell of leaking oil and petrol fumes) whenever I see one passing by. We welcome any feedback on this or any other posts, so please do post comments below. Alternatively, if you would like to know how Design Engine can help develop your logo, identity or brand, please get in touch. 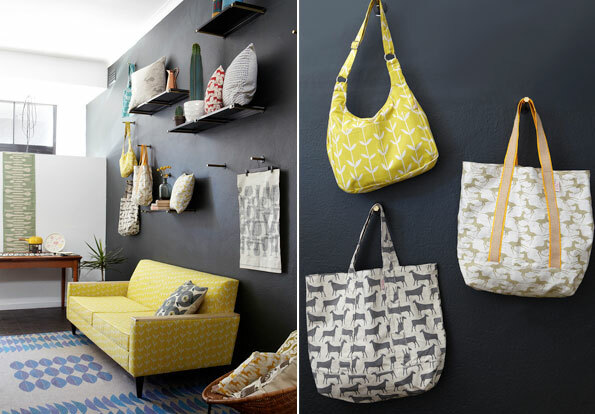 Skinny laMinx is a long-standing favourite designer of ours, here at Design Engine. 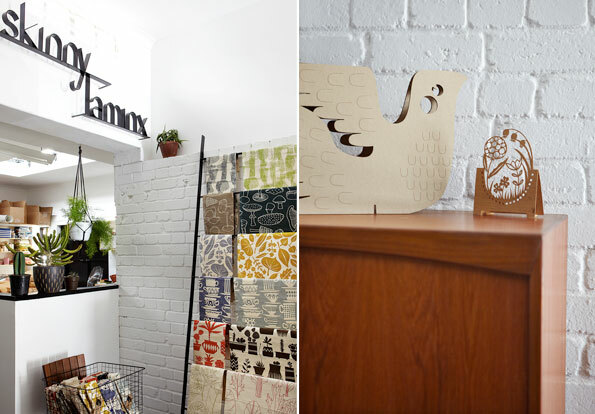 So, we were thrilled to bits when Heather Moore (of Skinny laMinx) let us have a peek at her gorgeous studio space in Capetown. 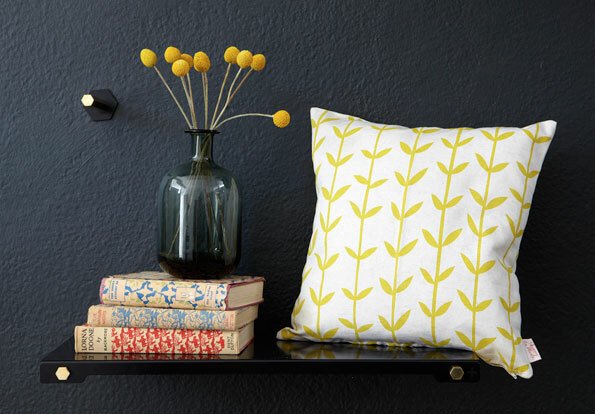 Skinny laMinx has established a strong brand associated with her beautiful graphic style of illustration, top quality products and gorgeous colour palettes. 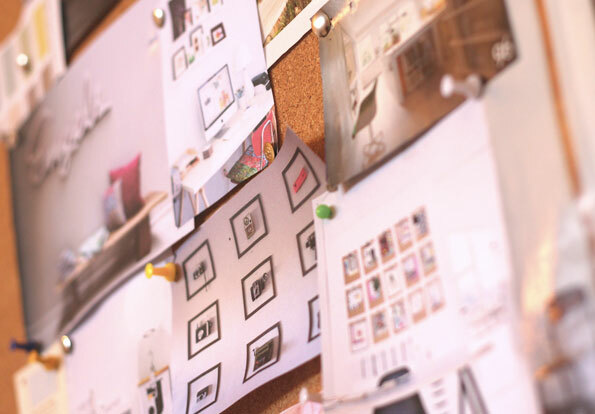 And, we asked Heather if we could feature her studio, as we think it's a perfect example of how your brand can be reflected in your workspace. In her studio the space is fun, bright and welcoming, much like Heather's work. Everything from the big charcoal wall to the painted white brickwork, the clean layout, simple textures and stylish use key items of vintage furniture all work together to show off her work and to reflect her brand. On the back wall Heather has used a peg system, which allows her to change her display as often as she wants. Even the signage is a step away from the norm, reflecting Heather's creative flair and eye for detail. But the thing we love best about this space is the fact that the space is functional, practical AND versatile and allows Heather to house her studio and shop all in one space. Simple, clean design - very inspiring stuff. 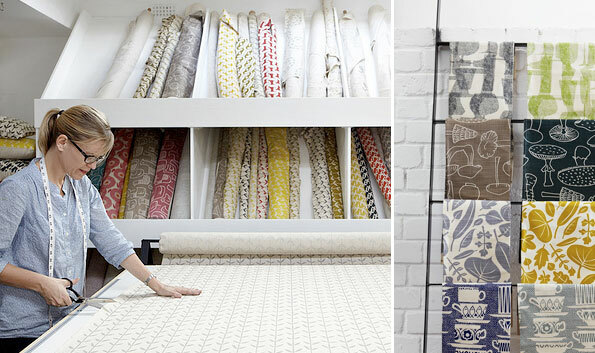 Now we have a serious crush on her studio as well as her designs! 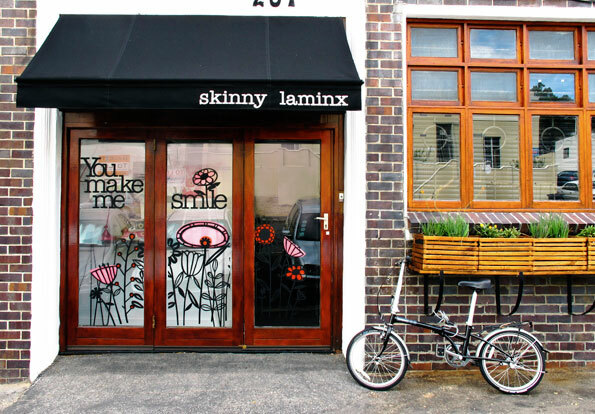 Follow the skinny laMinx blog www.skinnylaminx.com/blog/ - its well worth a read. At Design Engine we've noticed a recent surge in clients who are recognising the benefits of extending their brand right through to their work spaces. And these clients aren't generally the big nationals either, it's the smaller businesses who seem to be making the changes. Some of you might be a tad sceptical, thinking that this is a step to far and that office spaces are just for working in. But let's face it, having a work space that reflects your company brand, doesn't have to be brash or filled with corporate signage (not that that's a bad thing sometimes). It doesn't even have to cost the earth either. Simple changes CAN make all the difference. At Design Engine, we say, 'it's your work space, so why not have some fun with it? Branding your workspace is a great opportunity to be creative, and bring some real character into your space'. After all, a well designed work space can have positive effects on staff moral, help clients feel at home when they visit and really make your company stand out from the crowd. So, with all of this in mind we thought we'd kick off our new blog by following one of our very own in-house branding projects - the Design Engine studio refit. But more on that later. Coming up, we have a couple of the fantastic branded office / studio spaces that we have seen and loved recently, and that we thought you might like too. This blog spot is a space dedicated to stuff that makes us tick, here at Design Engine.